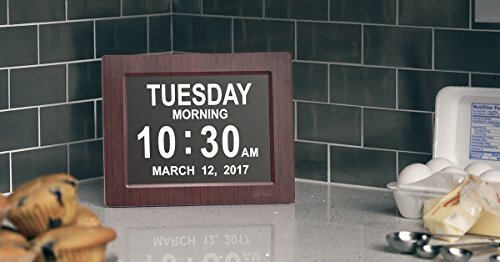 Why is the Day Clock so important to the elderly and dementia patients? People faced with Alzheimer’s, memory loss and Dementia need structure, routine and focus. 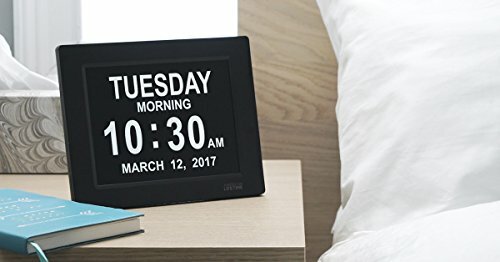 They often lose the ability to recognize what day of the week it is. 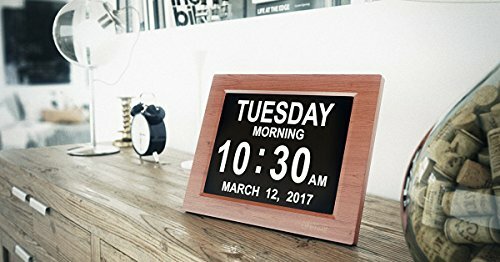 Traditional digital clocks have abbreviations, which can be confusing. 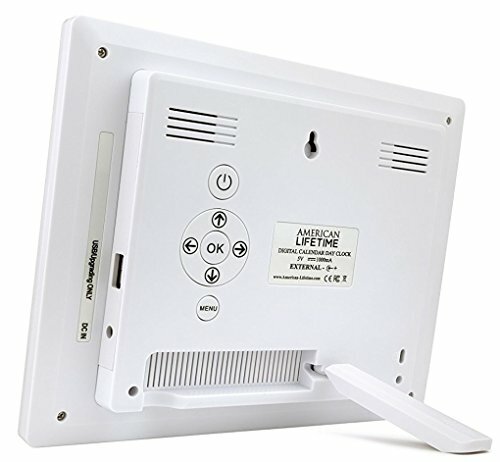 To prevent this, the Day Clock by American Lifetime has a clear and easy to read screen which helps reduce anxiety about the time of day and ease the worry of missing an appointment, a favorite show, mealtime, or any other key event.✔ KEY FEATURES – This unique 8″ High Resolution Digital Alarm Clock clearly spells out the time, full day of the week, month and date in large, clear letters – with no confusing abbreviations. 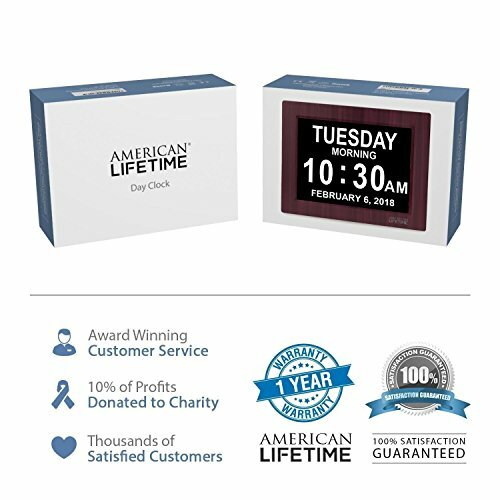 ✔ UNIQUE FUNCTIONS – The DayClox by American Lifetime is the only one of its kind to include an Alarm Function and multi-color display option. 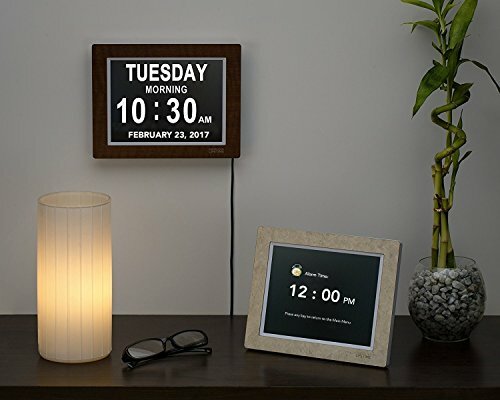 Set up to three daily alarms and choose between a white or yellow display. 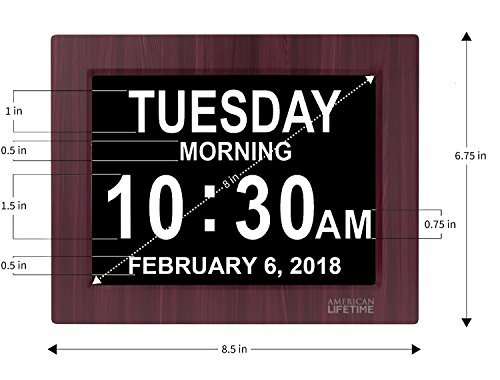 This DayClock also has a BATTERY BACKUP in case of a power outage, it will be reset to the correct time and date when the power returns. 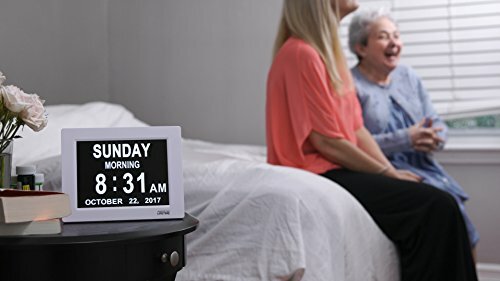 ✔ MAKES FOR A PERFECT GIFT – The words Dementia, Alzheimer’s and Memory Loss are intentionally excluded from the packaging, making it a great gift. ➡ 100% MONEY BACK GUARANTEE. We stand behind the durability of our goods and offer an unconditional guarantee. If you are not completely satisfied with our products, we will refund your money no questions asked.